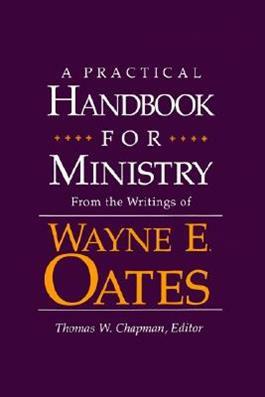 For years, the many books of Wayne Oates have served as invaluable field manuals for ministers and seminarians. Here, for the first time in one volume and by a minister who studied with him, are selected chapters from this distinguished author's fundamental works. This helpful new book reflects Oates's wisdom, clinical insight, and exhaustive search for scriptural understanding.